Harrogate law firm McCormicks of Harrogate has a new solicitor. 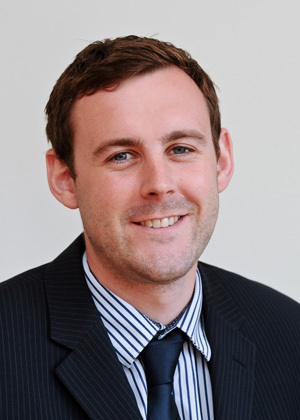 Ben Wilson joined the practice as a Legal Assistant, going on to be given a Training Contract in 2011, and has now qualified as a solicitor. He works in the firm’s Dispute Resolution and Litigation department handling a range of cases including contractual disputes, negligence actions and shareholder and director disputes. Ben graduated from Lancaster University with an honours degree in law. After spending two years travelling and working in Australia, New Zealand and south east Asia, he completed the Legal Practice Course at the College of Law in York, obtaining a Distinction. Ben then went on to work as paralegal in the Commercial Litigation and Professional Negligence department of a major law firm in Newcastle, handling his own case load and assisting other fee earners on high value litigation. He joined McCormicks almost two years ago, gaining experience of all aspects of contentious Corporate and Commercial work, and assisting Senior Partner Peter McCormick in the firm’s Sports Law practice.